Periodic fever, aphthous stomatitis, pharyngitis and cervical adenitis (PFAPA) syndrome is a recurrent fever syndrome that usually starts in early childhood. Episodes occur every 4–6 weeks and spontaneously resolve in 3–6 days. During episodes, children have elevated acute phase reactants that return to normal between episodes. Children with PFAPA grow and develop normally, are not more susceptible to infections, and exhibit no long-term sequelae. Since its initial description in 1987, numerous cases of PFAPA have been reported throughout the world and understanding of the syndrome has greatly increased. 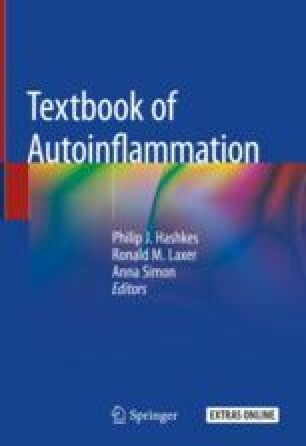 The epidemiology, theories on causation, clinical manifestations, and therapeutic options for PFAPA will the discussed in this chapter.